CR39 1.499 Single Vision Semi Finished Lens Blanks With Uncoated I. Specifications: - - - - Production | 1.499 semi finished single vision lens | Monomer | PPG | Diameter | 55/65/70mm | Coating Choice | UC | Abbe value | 58 | Specific Gravity | 1.32 | Transmission | >96% | Guarantee years | 3~5 years | Power range | Base: 50~1000 | - - - - II. CR39 Property: 1. CR39, 1.499, eyeglass, optical lens, optic, optique, optico, lentes, eyewear, glasses, prescription lens 2. Using PPG monomer with stable quality and large quantity production capacity. also available in domestic made monomer CR39 lens production, products welcomed in South America and Asia, also provide HMC and HC service. 3. 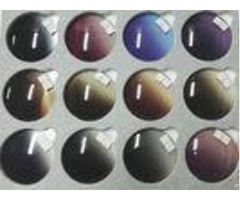 CR39 is actually better optically than Polycarbonate, It tends to tint, and hold tint better than other lens materials. 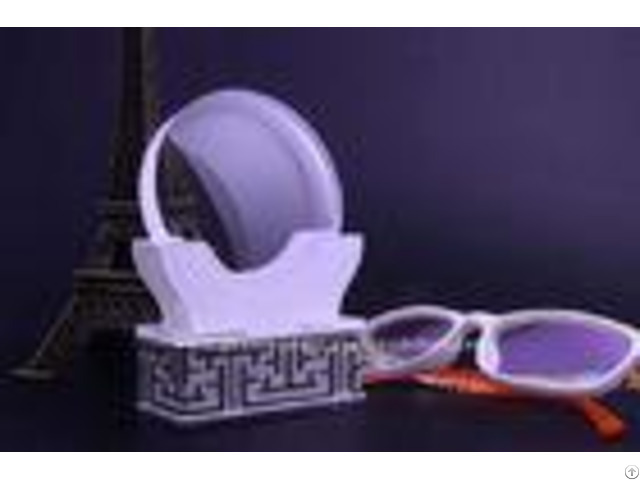 They are very good material for both sunglasses and prescription glasses. 4. Our CR39 products include round-top, flat-top, progressive lens, full white lens and Lenticular lens. 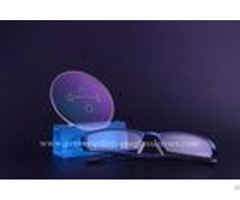 flat, thin, light, high transmittance, stable color, and precise design, also supply semi-finished lens. 5. With competitive price and stable good quality, Aogang optical always searching for long term business cooperation. III. Semi Finished lens: - - - - Semi-finished lens is the raw blank used to produce the most individualized RX lens according to the patient's prescription. Different prescription powers request for different semi-finished lens types or base curves. 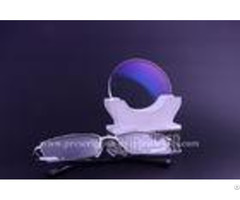 Rather than just the cosmetic quality, semi-finished lenses are more about the inner quality, such as precise and stable parameters, especially for the prevailing freeform lens. | | - - - - IV. Technical Data: V. The process of uncoated lens: VI. Packing & Shipping: - - - - Envelop | Choice 1 | Choice 2 | White envelop | color envelop with customer design weight: 157g size: 9*9*9cm | Outer box | standard export paper carton 38cm*48cm*35cm(0.064 CBMS) | Finished lens | Semi-finished lens | about 500 pairs per carton, 21kgs | about 100 pairs per carton, 15kgs | Lead time | Depend on the quantity | Carrier | We can choose for you or offer us your cooperative company | All the numbers provided above are estimated number, the actual numbers need to be measured according to the order you make | - - - - VII. FAQ: 1. Q: Are your company a manufacturer or a trade company? A: We are a manufacturer with many years exporting experience.Our factory is located in Jiangsu province. 2. Q: How can I get sample from you ? A: Just send us your requirements, then we will send samples accordingly . 3. Q: Can your products be customized? A: We accept OEM &ODM orders. Actually most of our products are customized. We will try our best to fulfill your requirements about the material, the size, the printing. 4. Q: How many days will samples be finished? How about mass products? A: Generally, we need 5-7 days to finish the sample production. As for the mass products, it depends on your order quantity. 5. Q: Do you have stock products to sell? A: Yes.We have a lot of inventory . Posted By: Jiangsu Aogang Optical Glasses Co., Ltd.
Business Description: Jiangsu Aogang Optical Glasses Co., Ltd is one of leading professional opthalmic lenses manufacturers in China, its a technical factory specializes in producing optical lenses since 1996, our plant covers an areas of 12,000 squares meters and our daily output raised to 40,000pieces.